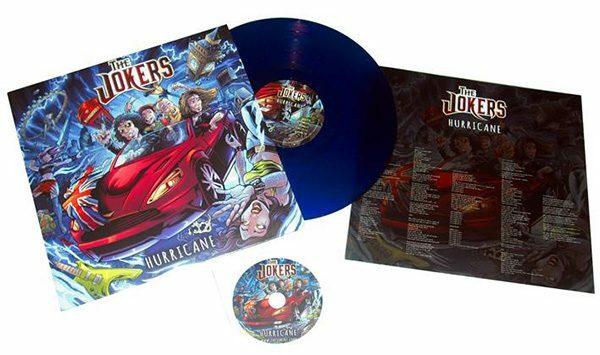 This is a fun album cover illustration I created for a hard rock band called the Jokers for their new album, Hurricane. 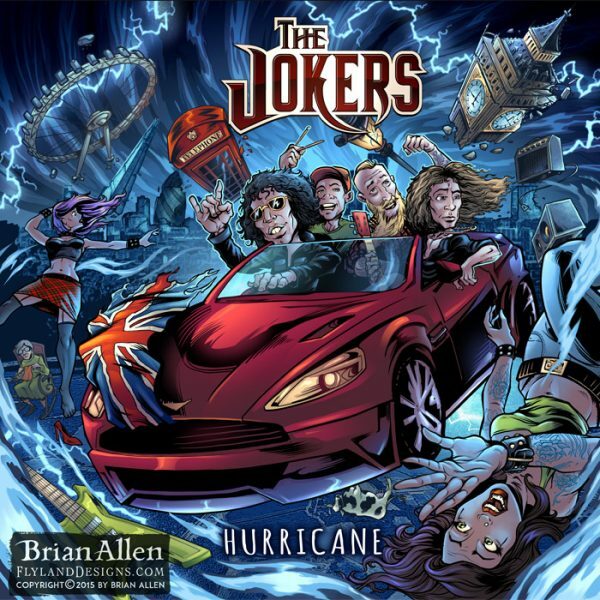 The idea was to have the band in a classic-looking car flying through the air to their next gig and causing a hurricane behind them, destroying London below. I tried to hide a lot of detail into the design swirling around them in the hurricane, like roadies, amps, guitars, and British artifacts. 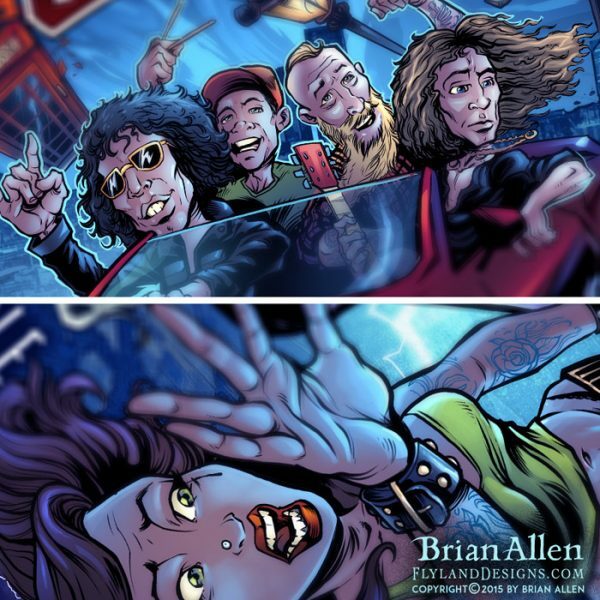 The band needed the album art in a really short amount of time, but we pulled it off in time and they were quite happy with the result.